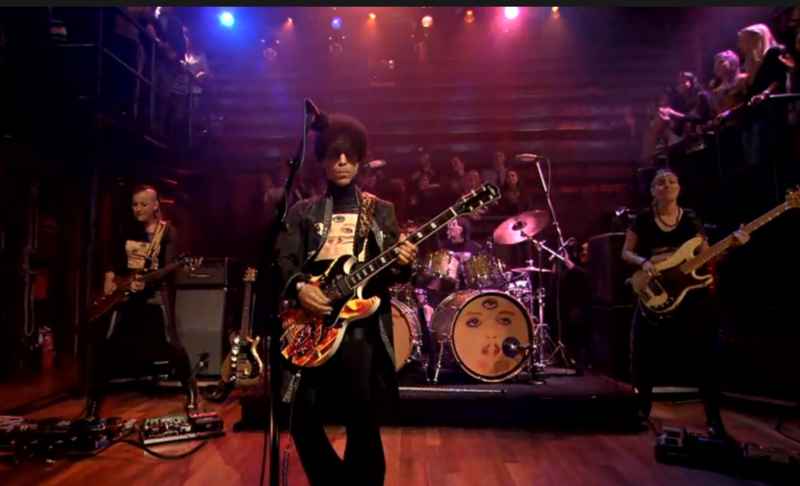 As promised, Prince spent Friday night in New York City, making a rare television appearance on Late Night with Jimmy Fallon. And what an appearance it was: Prince and his 3rd Eye Girl backing band tore through his new single “Screwdriver” followed by past classic “Bambi”. Watch the replay below — yes, Fallon is apparently the only guy ever allowed to upload Prince videos to the web.